We’re in the midst of back-to-school season, which means September’s list of great YA titles is an epic one. It’s a magical time of year, one that’s great for loading your backpack and eReader with more than just textbooks. The only downside, really, is the strain your wallet will endure. Hold on tight. There’s a lot to be excited for in September. Release Date: September 1 from Poppy? Why You’ll Love It: If you’ve never picked up one of Jennifer E. Smith’s books, Hello, Goodbye, and Everything In Between is a fantastic starting point. Once you’ve read it, you’ll probably be ready to dive into her other works, like The Statistical Probability of Love at First Sight. With Hello, Goodbye, Smith touches on themes that any college student can relate to: leaving behind friends and possibly a high school sweetheart. Do you stay together? Try to make it work? It’s a tough decision, and a premise that many students will find oh-so-relatable. ? Description: On the night before they leave for college, Clare and Aidan only have one thing left to do: figure out whether they should stay together or break up. Over the course of twelve hours, they’ll retrace the steps of their relationship, trying to find something in their past that might help them decide what their future should be. The night will lead them to friends and family, familiar landmarks and unexpected places, hard truths and surprising revelations. But as the clock winds down and morning approaches, so does their inevitable goodbye. The question is, will it be goodbye for now or goodbye forever? Why You’ll Love It: Can one simple conversation bring down absolutely everything in your life? 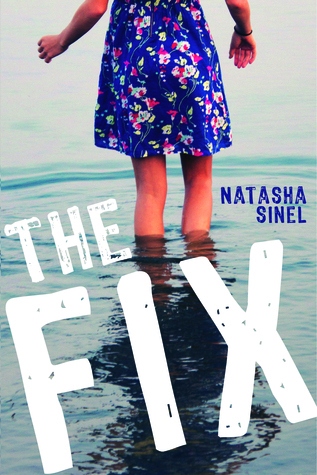 That’s the question that The Fix asks, when a girl with a seemingly perfect life dives into her own dark secrets. The Fix asks readers whether allowing a secret to fester is worth maintaining an illusion, which sets the stage for a heavy read that explores drug addiction and abuse. ? Description: Seventeen-year-old Macy Lyons has been through something no one should ever have to experience. And she’s dealt with it entirely alone. ?On the outside, she’s got it pretty good. Her family’s well-off, she’s dating the cute boy next door, she has plenty of friends, and although she long ago wrote her mother off as a superficial gym rat, she’s thankful to have allies in her loving, laid-back dad and her younger brother. ? ?But a conversation with a boy at a party one night shakes Macy out of the carefully maintained complacency that has defined her life so far. The boy is Sebastian Ruiz, a recovering addict who recognizes that Macy is hardened by dark secrets. And as Macy falls for Sebastian, she realizes that, while revealing her secret could ruin her seemingly perfect family, keeping silent might just destroy her. Why You’ll Love It: This is book number four in Sarah J. Maas’ Throne of Glass fantasy series. If you haven’t yet started this incredible saga, set aside some time to catch up. 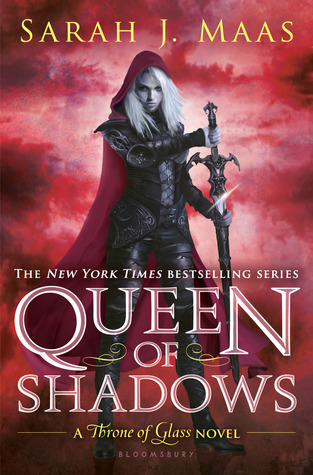 Maas’ novels are truly epic; Queen of Shadows alone weighs in at more than 600 pages. But oh, those characters and that world! You’ll be hooked after the first installment. Description: Everyone Celaena Sardothien loves has been taken from her. But she’s at last returned to the empire—for vengeance, to rescue her once-glorious kingdom, and to confront the shadows of her past. She will fight for her cousin, a warrior prepared to die just to see her again. She will fight for her friend, a young man trapped in an unspeakable prison. And she will fight for her people, enslaved to a brutal king and awaiting their lost queen’s triumphant return. Release Date: September 1 from Carolrhoda Lab? Why You’ll Love It: A novel told entirely in emails? Yes, please. 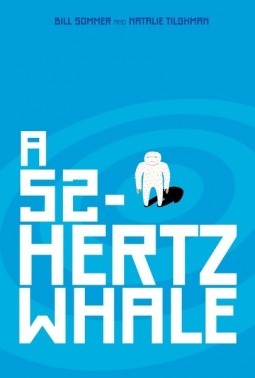 A 52-Hertz Whale is a quirky, fun YA story that follows a young teenager and a young man, both of whom are in turning points in their lives. They’re recovering from heartbreak and complexities in their personal lives, drama which you get to watch unravel over the course of emails. A 52-Hertz Whale gets bonus points for being the most unique book on this month’s list.? Description: Fourteen-year-old James is worried that the young humpback whale he tracks online has separated from its pod, so he emails Darren, the twentysomething would-be filmmaker who once volunteered in James’s special education program. Of course, Darren is useless on the subject of whales, but he’s got nothing but time, given that the only girl he could ever love dumped him. Predictably, this thread of emails leads to a lot of bizarre stuff, including a yeti suit, drug smuggling, a graveyard, damaged echolocation, choke holds, emergency dentistry…and maybe ends with something like understanding. See, the thing that binds people together most is their fear that nothing binds them together at all. Release Date: September 1 from HMH? Why You’ll Love It: I’m so thrilled to see another Erin Bowman book hitting the shelves. Some of you might be familiar with her amazing Taken trilogy, which I cannot recommend enough. 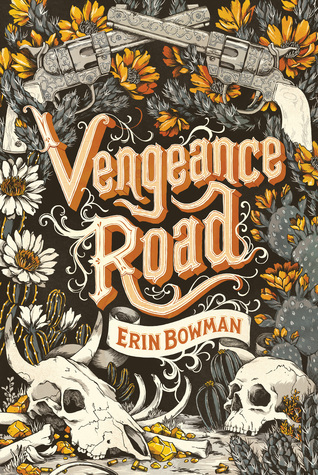 Her new book, Vengeance Road, is a YA take on a classic western tale in the style of True Grit. It’s a standalone novel, so no waiting for additional books. Though I certainly wouldn’t mind more. Description: When Kate Thompson’s father is killed by the notorious Rose Riders for a mysterious journal that reveals the secret location of a gold mine, the 18-year-old disguises herself as a boy and takes to the gritty plains looking for answers and justice. What she finds are devious strangers, dust storms, and a pair of brothers who refuse to quit riding in her shadow. But as Kate gets closer to the secrets about her family, she gets closer to the truth about herself and must decide if there’s room for love in a heart so full of hate. Release Date: September 8 from Knopf Books for Young Readers? Why You’ll Love It: Is this the first great cry of September 2015? Yes. Yes it is. 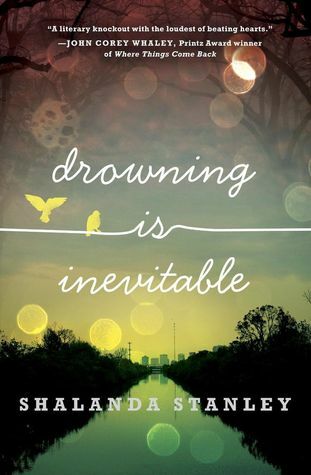 Drowning in Inevitable presents an intense read full of beautiful prose and deep friendships. Keep the tissues nearby. Description: Olivia has spent her whole life struggling to escape her dead mother’s shadow. But when her father can’t even look at her because Olivia reminds him of her mother, and her grandmother mistakenly calls her “Lillian,” shaking a reputation she didn’t ask for is next to impossible. Olivia is used to leaning on her best friend, Jamie; her handsome but hot-tempered boyfriend, Max; and their wild-child friend, Maggie, for the reality check that her small Louisiana town can’t provide. But when a terrible fight between Jamie and his father turns deadly, all Olivia can think to do is grab her friends and run. In a flash, Olivia, Jamie, Max, and Maggie become fugitives on the back roads of Louisiana. They’re headed to New Orleans, where they hope to find a solution to an unfixable problem. But with their faces displayed on all the news stations, their journey becomes a harrowing game of hide-and-seek from the police—and so-called allies, who just might be the real enemy. Release Date: September 8 from Little Brown? Why You’ll Love It: Kendall Kulper knows how to write magic. Her debut, Salt & Storm, definitely showcased that fact, and now she’s back with a fun new twist on the witches-in-YA genre. 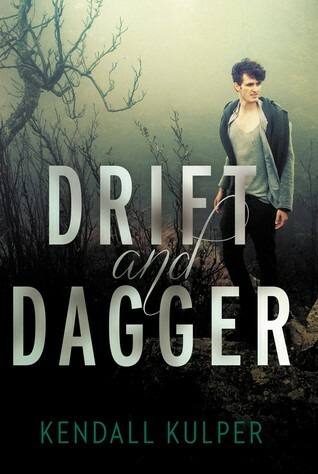 Fans of backstabbing and revenge should pick up Drift & Dagger. ? Description: As a boy in the late nineteenth century, Mal’s only friend was Essie, daughter of the Roe witch, and it was she who discovered that he is a “blank,” not affected by magic, setting him on a career as a con artist, traveling the globe in search of a legendary magical dagger that can steal a witch’s power. Release Date: September 8 from Simon & Schuster? Why You’ll Love It: Because it is a sequel to WINGER, that’s why. If you’re unfamiliar with the hilarious and heart-wrenching story of Ryan Dean, I highly recommend picking up Smith’s Winger and Stand Off. Make a weekend out of it. Winger tells the story of an awkward rugby player trying to make his way at a private school while bumbling his way through love and friendships. Stand Off promises to deliver more of the same, and I can’t wait. It’s also packed with wonderful illustrations (Ryan Dean is quite the doodler) accompanying the text.? Description: It’s his last year at Pine Mountain, and Ryan Dean should be focused on his future, but instead, he’s haunted by his past. His rugby coach expects him to fill the roles once played by his lost friend, Joey, as the rugby team’s stand-off and new captain. And somehow he’s stuck rooming with twelve-year-old freshman Sam Abernathy, a cooking whiz with extreme claustrophobia and a serious crush on Annie Altman—aka Ryan Dean’s girlfriend, for now, anyway. Equally distressing, Ryan Dean’s doodles and drawings don’t offer the relief they used to. He’s convinced N.A.T.E. (the Next Accidental Terrible Experience) is lurking around every corner—and then he runs into Joey’s younger brother Nico, who makes Ryan Dean feel paranoid that he’s avoiding him. Will Ryan Dean ever regain his sanity? Release Date: September 8 from Balzer & Bray? Why You’ll Love It: Foster homes. Depression. Misfit teenagers. 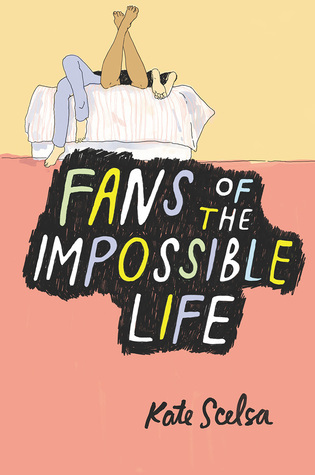 Fans of the Impossible Life promises to be a contemporary read that just hits everything I really adore in a solid YA novel, and then some. Diverse characters and a story that touches on mental health and sexuality? It’s definitely at the top of my to-read list when it comes out this month. ? Description: Ten months after her recurring depression landed her in the hospital, Mira is starting over as a new student at Saint Francis Prep. She promised her parents she would at least try to act like a normal, functioning human this time around, not a girl who sometimes can’t get out of bed for days on end, who only feels awake when she’s with Sebby. Jeremy is the painfully shy art nerd at Saint Francis who’s been in self-imposed isolation after an incident that ruined his last year of school. When he sees Sebby for the first time across the school lawn it’s as if he’s been expecting this blond, lanky boy with a mischievous glint in his eye. Sebby, Mira’s gay best friend, is a boy who seems to carry sunlight around with him like a backlit halo. Even as life in his foster home starts to take its toll, Sebby and Mira together craft a world of magic rituals and secret road trips, designed to fix the broken parts of their lives. As Jeremy finds himself drawn into Sebby and Mira’s world, he begins to understand the secrets that they hide in order to protect themselves, to keep each other safe from those who don’t understand their quest to live for the impossible. Release Date: September 15 from Farrar, Straus and Giroux? 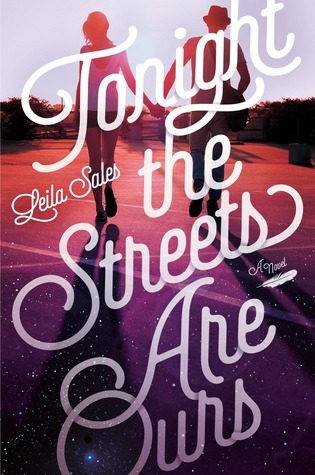 Why You’ll Love It: How can you not be excited for the next book by Leila Sales? In addition to boasting an incredible book cover, This Song Will Save Your Life was a wonderful novel. I’ve been eagerly awaiting Tonight the Streets Are Ours since it first popped up on my Goodreads. It’s a love story tied to present day, which follows a teen girl’s adventure to meet a blogger. Description: Seventeen-year-old Arden Huntley is recklessly loyal. Taking care of her loved ones is what gives Arden purpose in her life and makes her feel like she matters. But she’s tired of being loyal to people who don’t appreciate her—including her needy best friend and her absent mom. Arden finds comfort in a blog she stumbles upon called “Tonight the Streets Are Ours,” the musings of a young New York City writer named Peter. When Peter is dumped by the girlfriend he blogs about, Arden decides to take a road trip to see him. During one crazy night out in NYC filled with parties, dancing, and music—the type of night when anything can happen, and nearly everything does—Arden discovers that Peter isn’t exactly who she thought he was. And maybe she isn’t exactly who she thought she was, either. Why You’ll Love It: One of my favorite novels is The Night Circus by Erin Morgenstern, so the mere mention of traveling circuses and magic makes my heart do a little dance. The Weight of Feathers is a little bit of that with a dash of Romeo & Juliet mixed in with some seriously dark themes. 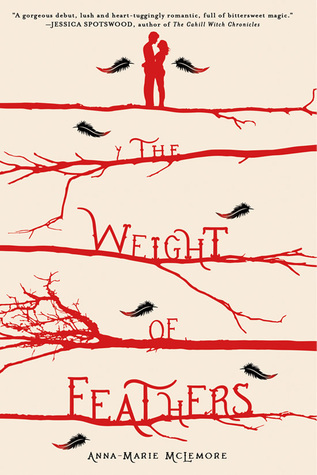 With prose as magical as its characters, The Weight of Feathers is an exciting debut. I’m looking forward to more from McLemore. ? Description: For 20 years, the Palomas and the Corbeaus have been rivals and enemies, locked in an escalating feud for over a generation. Both families make their living as traveling performers in competing shows—the Palomas swimming in mermaid exhibitions, the Corbeaus, former tightrope walkers, performing in the tallest trees they can find. Lace Paloma may be new to her family’s show, but she knows as well as anyone that the Corbeaus are pure magia negra, black magic from the devil himself. Simply touching one could mean death, and she’s been taught from birth to keep away. But when disaster strikes the small town where both families are performing, it’s a Corbeau boy, Cluck, who saves Lace’s life. And his touch immerses her in the world of the Corbeaus, where falling for him could turn his own family against him, and one misstep can be just as dangerous on the ground as it is in the trees.